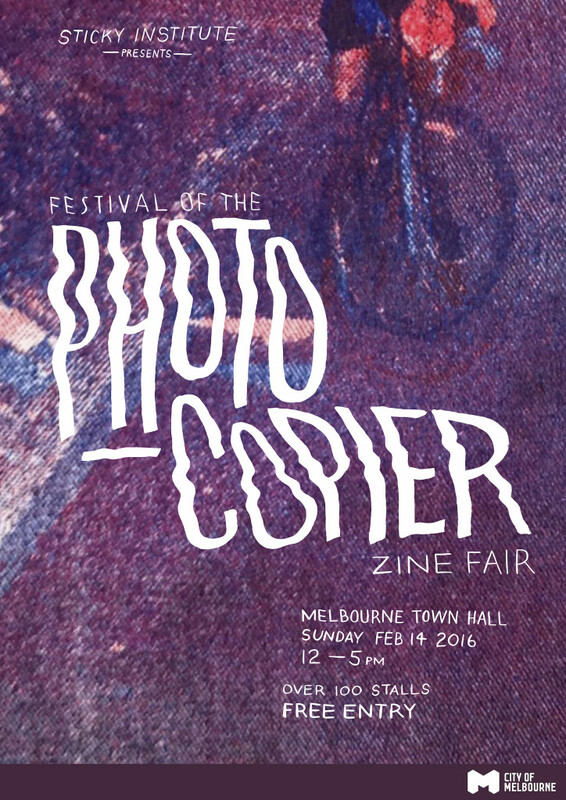 This Valentine’s Day I will be participating in Sticky Institute‘s annual zine fair, the Festival of the Photocopier at the Melbourne Town Hall. I have three new zines launching: Maling Road, Love, and I’m just putting the finishing touches on my third zine, which is all about my favourite foods as a kid. Previously featured zines, Trousseau and Catwoman75, will also be available for purchase if you missed out last year! Appropos of the day, there will be a distinct romance theme manifesting my table, and there’ll be a free Valentine origami heart for anyone who buys a zine. This is the first time I’ll have shown work at the event, and I’m really excited to be part of a festival that I’ve attended and loved for a long time. If you’ve time in the city on Sunday, please come by and get some awesome zines (not just mine :P). I look forward to meeting you all. ← Becky Cloonan and the All Star Comic Market, oh my!